System Improvements Appreciation Day #2! The System Improvements Appreciation Days continued this week! Last week we recognized the hard work of our IT guys, this week we want to recognize our amazing Admin team & TapRooT® Course Coordinators. Have you ever called TapRooT® for help with pretty much anything- products, courses, general info, etc? Well, you probably spoke with our Admin team who do an amazing job of representing the company well. They are definitely the queens of customer service! Also, if you’ve ever attended a TapRooT® course, public or onsite, did you know we have a special team of three superwomen who coordinate, plan & prepare for it? They are a hardworking trio! We can’t thank these ladies enough for everything they do. 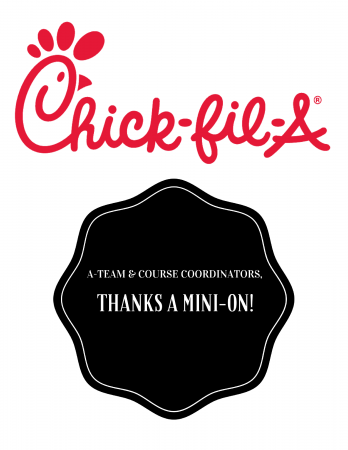 But, to show a our thanks this week, we had Chick-Fil-A! Help us give a special shout out to the TapRooT® Admin team and Course Coordinators!